Creative minds from around the world have come together to tell us tales of the world’s finest beverage. Was it beer that held together the fragile peace of the Cold War? What was the role of beer in the tragedy of Oedipus Rex? If Beer had eyes and ears, what would it be able to say about you? How essential is beer to humanity’s colonization of the stars? These are just a few questions asked and answered in A Six Pack of Stories, a collection of beer-centric short stories made to be read with a beer in hand. The idea came to me after working in the beer business for several years. I spent a lot of time developing visual artwork for beer and putting on events that combined beer with music. I realized that the reason these things combined so well with beer is because they are very important forms of creative expression in our culture. But the beer world was missing something huge (and very dear to me): literature and creative writing. I aimed to fill the void by gathering creative writers and beer lovers from near and far to tell stories that are about beer and that can be enhanced by drinking beer while reading them. I live in the craft beer world, where it’s important that brewers have the freedom to experiment. A lot of the best beers we have today came from brewers doing something creative that they didn’t know was going to be a huge seller. For this project, I treated the authors like craft brewers; the only stipulation I gave them was that the stories be about beer. Other than that, they had free reign to let their imaginations go. We ended up with 24 very good, and very different, stories. Humor, historical fiction, science fiction, “literary” fiction, horror—there are a lot of genres represented. What patches them all together is beer. And similar to how most craft breweries get started, this project isn’t backed by a big corporation and lots of money. This is an independently published book, and the authors and I are relying on grass roots support to make it a success. That’s exactly what made craft beer what it is today, though, so we’re not too worried. 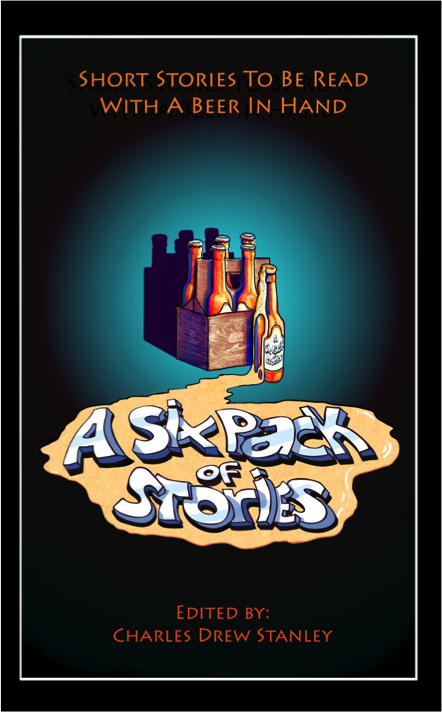 A Six Pack of Stories is available in print, and Kindle formats, and will come to Nook soon. Purchase your copy securely online at www.6packstories.com.